Are you performing due diligence on Apparel Win from Guangzhou China who sells Clothing? 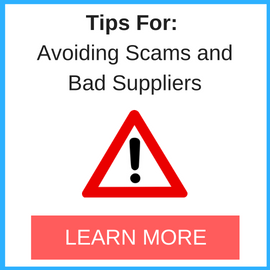 If you are planning to buy from this company, please be careful of scams. Read on below to read one buyers experience when trying to buy Clothing. 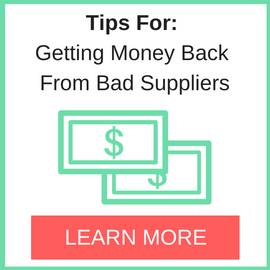 You will also find some links to help you find more related information about Apparel Win on Supplier Blacklist and on Google as well as other bad suppliers of Clothing reported here on SBL. Manufacturer exceptionally difficult to deal with, didn’t follow instructions and produced completely inaccurate goods without any consultation during the process. Do not do sampling/prototyping goods at a distance, do not work directly with manufacturers in another country where you have no recourse. Need More Info on Apparel Win? If you need more information, you can click the below links to search for more submissions about Apparel Win on Supplier Blacklist as well as go to the search results page on Google for more reviews online about this company. 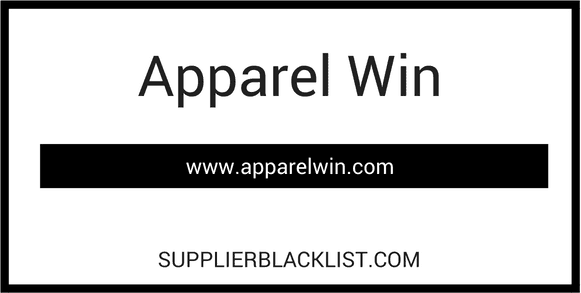 Perform a Supplier Blacklist search for more reviews on Apparel Win. Search Google for Apparel Win Reviews.